Trouble hitting those tiny start, lap and stop buttons? Try the whole screen! Two fingers to lap, one finger to stop. The simplest timer on the market! Perfect for runners, cyclists, or anybody trying to quickly time something. If you're running with your iPhone and can't find yourself missing buttons or accidentally setting them off, and then TapLap is the app for you. It's simple, to start the timer simply press in the touch area with a single finger. 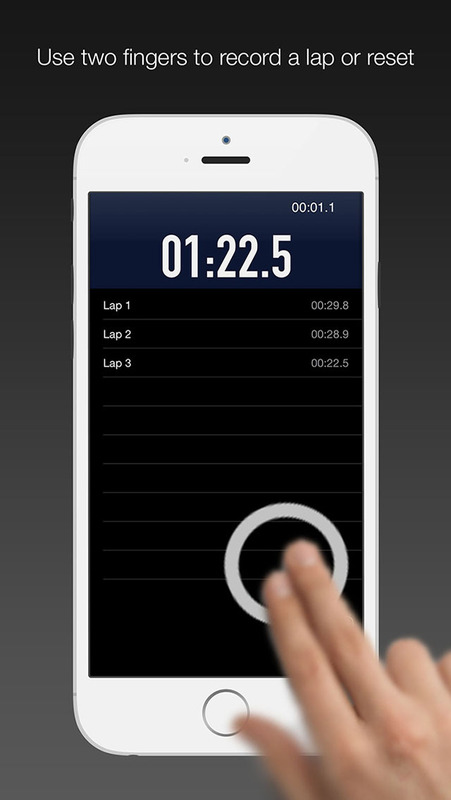 To record a lap while you're running, tap with two fingers anywhere. - The timer allows you to store unlimited simultaneous laps! To stop the timer, tap with one finger. To reset the timer, tap with two fingers. The app is completely free but if you enjoy this app, consider supporting us by purchasing the remove ads feature!